Another one is scratched off of the list. 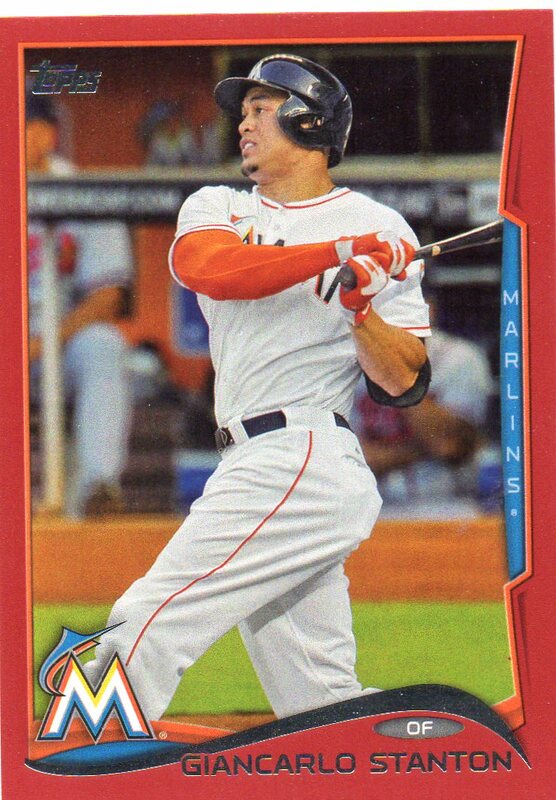 This time it is the ‘Red’ version of Stanton’s card from the 2014 Topps Series 1 set. The Red is nice, but it is not a great match for the Marlins’ color scheme. 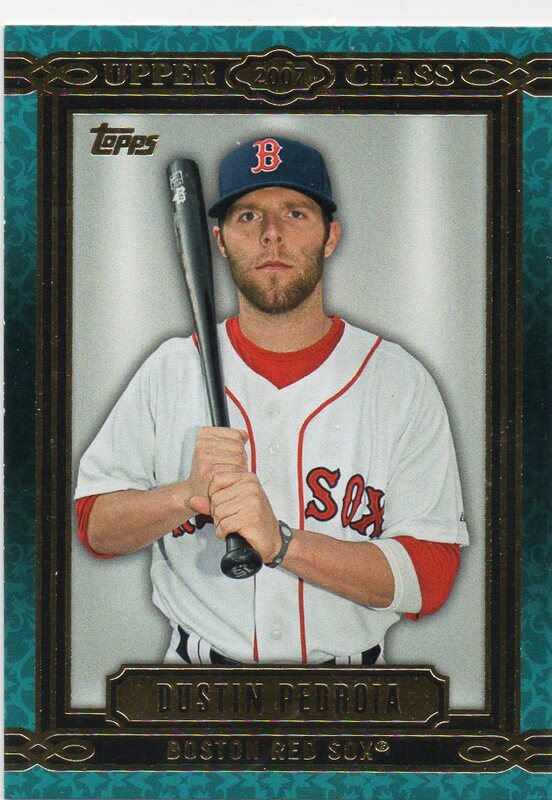 While I like the theme of ‘Upper Class’ when it comes to the subset that was inserted into the new 2014 Topps Series 1 release, I am far from impressed with the results. For me, the cards lack personality and character. I feel like the design is very similar to other recent Topps insert sets like ‘The Elite’ or ‘The Greats’ and do much more could have been offered with the ‘Upper Class’ theme. Notes From His 1975 Season: After leading the AL in steals in 1974 with 54, Bill North added 30 more swipes in 1975. This helped North to score 74 runs for the A’s over the course of the season. North had a pretty keen batter’s eye and in 1975 he walked 81 times in 624 plate appearances, and he had an on-base percentage of .373. 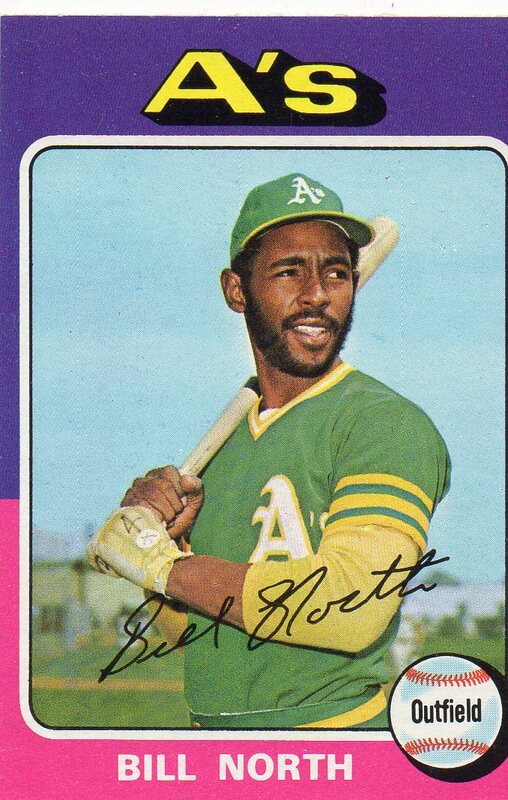 Notes From Career: North was a league leader in steals during the 1974 and 1976 baseball seasons. He has 395 career steals and an on-base percentage of .365. North played for four different teams during his major league career, but his greatest success came with Oakland when he became a League Leader and World Series Champion. Darryl Strawberry turns 52 years old today. 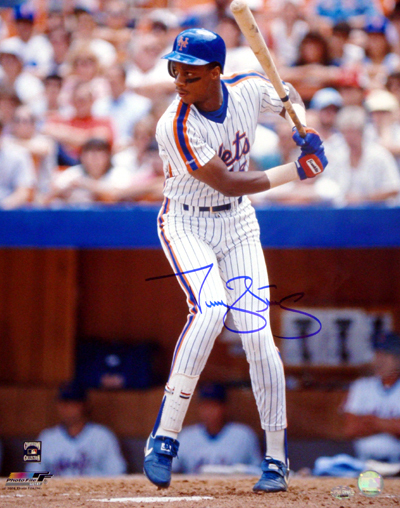 Darryl Strawberry made an immediate impact on the sport during his debut in 1983. The league’s Rookie of the Year played like a seasoned veteran and quickly became the centerpiece of the New York Mets and their championship roster. Equipped with the perfect blend of speed and power, Straw’s talents landed him on 8 consecutive All-star teams while he and the Mets took baseball by storm. His career home run total of 335 and stolen base count of 221 along with his 1,000 career RBI show just how versatile and steady he was. Strawberry had his share of setbacks during his career that didn’t allow him to become the MVP that he had the talent to be. Yet he still found himself as a member of 3 World Series Championship teams!!! 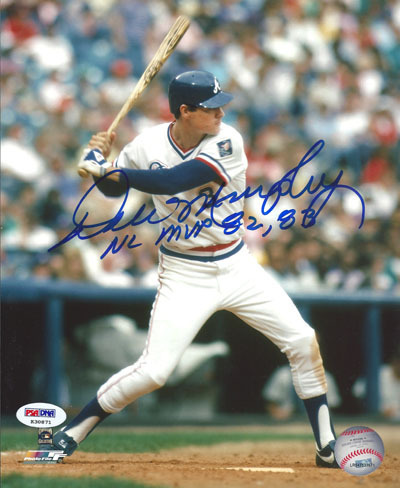 Dale Murphy turns 58 years old today. One of my favorite players as a kid, Murphy’s retirement in 1993 was the start of seeing some of my idols leave the sport of baseball. My memories of watching Dale Murphy play are endless. Being a fan of the sport, and having no ‘home’ team to cheer for in Florida during my childhood, I drifted to the teams I was able to watch on television. WTBS, WGN, and WOR game me my baseball fix. And of the guys that I drifted towards – Murphy was prominent. His skills as a player were endless. Whether it was delivering home runs or making incredible plays in the outfield, Dale Murphy was one of the best players in the game for more than a decade – and I enjoyed watching all of it!! 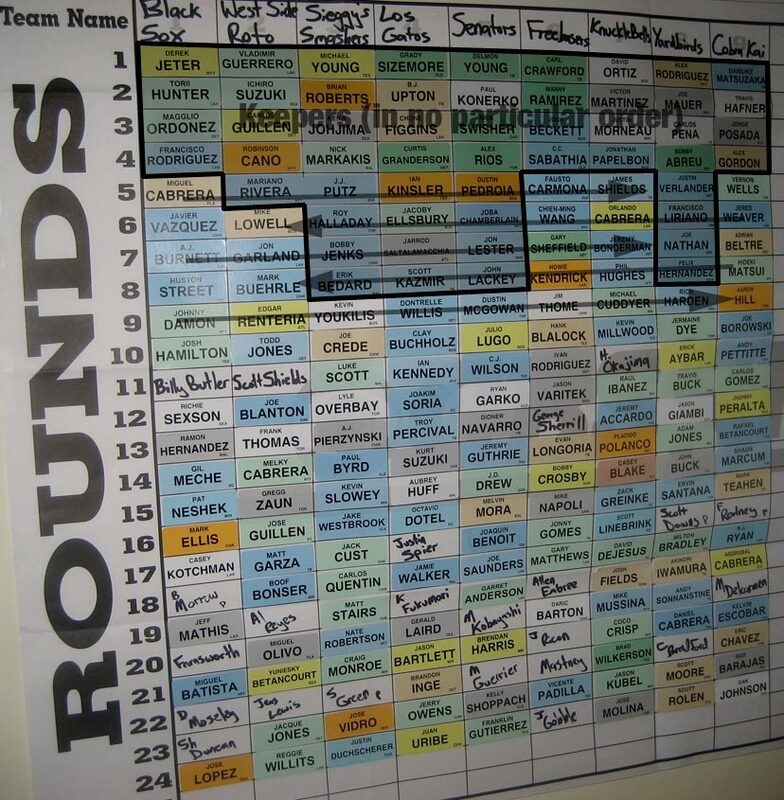 Million Dollar Question – Who Is Your #1 Draft Pick In Fantasy Baseball? The draft for ’30-YOC’ fantasy baseball is this Sunday evening. And I pretty much have my strategy in place for how I want to attack the 2014 season. Equally, I am always curious to see what others would do if they had the first pick in the draft. Do you go with the crafty veteran that is putting up unreal numbers? Do you go with the young guy who has become elite almost overnight? Or do you go with the most consistent pitcher in the game? For me, I tend to lead towards consistency with my picks, but I have also never been awarded with the #1 pick in any draft in which I have been a part of so I have never had to make that single, crucial decision. But, I am ready to have fun on draft night as I craft my roster. What would you do if you had the #1 pick?? ?